Prince Yaacob has more than 34 years of banking and finance experience. 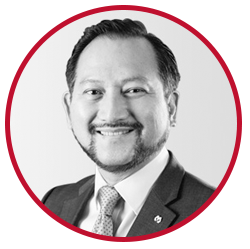 He is Chairman of IB Capital, and Chairman of MAA Group Berhad (Malaysia), which he joined in 1999. Prior to his current position, Prince Yaacob worked for 19 years at Malaysian Assurance Alliance Berhad, where his last position was Chairman. He also worked at PriceWaterhouse, UK and Malaysia. Prince Yaacob holds a Bachelor of Science Degree with Honours from the City University in London and is a Fellow of the Institute of Chartered Accountants of England and Wales. Mr. Al-Qassimi has more than 34 years of diversified management experience. He is a Member of the Ithmaar Bank and the IB Capital Board of Directors. His previous positions include Chief Executive of Tamkeen (the Labour Fund), from which he resigned in May 2010; Deputy Chief Executive Officer of the Labour Fund Project at the Bahrain Economic Development Board; Assistant Undersecretary for Training at the Bahrain Ministry of Labour and Social Affairs; and Director of Engineering and Maintenance at the Bahrain Ministry of Health. 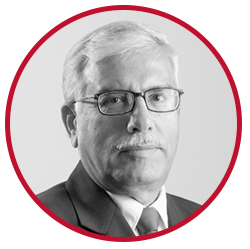 He has also served as the Chairman of the Bahrain Qualifications Framework Steering Committee; and the Steering Committee of Career Expo; and was a Board member of the Bahrain Society of Engineers and the Bahrain Consumer Protection Society. He is currently a Member of the Board of Ithmaar Development Company (IDC), Solidarity Group Holding; Naseej; Faysal Bank Limited (Pakistan); and Saudi Solidarity Takaful Co. (KSA), as well as a member of the Board of Trustees of Arabian Pearl Gulf School. Mr. Al-Qassimi holds a BSc in Civil Engineering from Queen Mary College, University of London, UK; a MSc in Health Facility Planning from the University of North London, UK, and a Diploma in Health Care Management from the Royal College of Surgeons in Ireland, Bahrain. 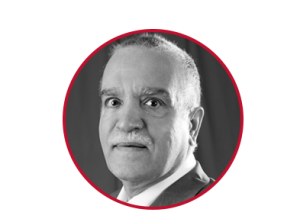 Dr. Bouresli, formerly the Kuwait Minister of Commerce and Planning and Development and, before that, Minister of Commerce and Industry, has almost 31 years of experience in training, consulting and banking. Dr. Bouresli is a member of the Ithmaar Bank and the IB Capital Board of Directors. She is currently Professor of Finance at the Kuwait University’s College of Business Administration, and her research interests include Capital Markets Regulations, Corporate Governance and Strategic Planning. Dr. Bouresli is also a Member at the Board of Trustees at Kuwait Transparency Association for the Anti-Corruption Award for the Public Sector in Kuwait. She earned the Middle East Excellence Award in business administration and economics for her contributions toward the development of the capital market structure and regulation in Kuwait. She is the founder of the Governance Excellency Prize. Prior to her ministerial appointments, Dr. Bouresli was Chairman and Founder of Capital Standards Rating Co., the first independent credit rating agency in Kuwait, from 2009 to 2011; a Board Member at Burgan Bank, Kuwait, from 2010 to 2011; and Head of the Capital Market Authority Project from 2006 to 2007. Dr. Bouresli, who has many published work in refereed journals as well as in specialised books and magazines, began her banking career at the National Bank of Kuwait in 1987, and her teaching career at Kuwait University in 1988. Dr. Bouresli holds a BC in Finance and Banking from Kuwait University, Kuwait; an MBA from Seattle University, USA; and a PhD in Finance from Southern Illinois University at Carbondale, USA. Mr. Bucheerei has more than 47 years of experience in Accounting, Commercial and Offshore Banking. He was Chief Executive Officer of Ithmaar Bank from 12 July, 2010 to 31 August, 2013, and has been a Member of the Ithmaar Bank Board of Directors since March 2010. He is also a Member of the Bank’s Executive Committee. Mr. Bucheerei is Group Chief Executive Officer of Dar Al Maal Al Islami Trust. Previously, he served as the General Manager of the Private Offices of HRH Prince Mohamed Al Faisal Al Saud, Saudi Arabia, and Executive Vice-President, Shamil Bank of Bahrain. He is Chairman of the Islamic Investment Company of the Gulf (Sharjah) Limited, and a Member of the Board of Directors of the Islamic Investment Company of the Gulf (Bahamas) Limited. Mr. Bucheerei is Chairman of DMI (Jersey) Limited, MFAI (Jersey) Limited, Cantara S.A. (Switzerland), Faisal Finance Maroc S.A, Faisal Private Bureau, DMI Administrative Services, Ithmaar Development Company, Naseej (Bahrain), Naseej Rabat and Sharaka. He is a member of the Board of Directors of Faysal Bahamas Limited, Crescent International Limited (Bermuda), Gulf Investors Asset Management Company (Saudi Arabia), Overland Capital Group, USA, Crescent International Ltd., DMI NV, Faisal Finance Luxembourg and Shamil Finance Luxembourg. He studied accounting, mathematics and economics at Gulf Polytechnic, Bahrain. 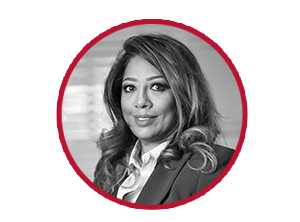 Mss Hasan, who has more than thirty years of diversified experience in the financial services industry, is a member of the Ithmaar Holding and the Ithmaar Bank Board of Directors. She is currently Chairwoman of Taaheal Healthcare and an Advisor on Business and Corporate Strategy, as a well as a Board Member of Mumtalakat, Solidarity Group Holding – Bahrain and BNP Paribas Investment Company – Saudi Arabia. A leading business woman in the Kingdom of Bahrain, Mss Hasan was the first female partner at PricewaterhouseCoopers in the Middle East region. She was voted one of the Most Influential Women in the Middle East by Forbes Magazine, and earned the Euro Money Award for Islamic Assurance Advisory Services. 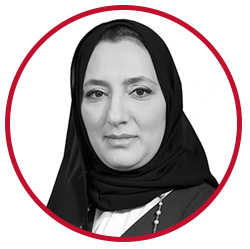 Mss Hasan waspreviously a Board Member of the Bahrain Economic Development Board (EDB), Tamkeen, BBK, the Bahrain Real Estate Investment Company (EDAMAH), and the University of Bahrain, as well as a member of both the Women Empowerment Economic Committee of the Supreme Council for Women and the Planning and Follow-up Committee of the Bahrain Business Women’s Society. She was the Country Senior Partner at PricewaterhouseCoopers in Bahrain until June 2010, and was the financial services leader for PricewaterhouseCoopers Middle East until June 2007. While at PricewaterhouseCoopers, Mss Hasan worked extensively with Islamic institutions since the early eighties. Mss Hasan qualified as Certified Public Accountant in 1986 and is a member of the American Institute of Certified Public Accountants.